Spartanburg, SC – October 3, 2017 – AFL, an industry-leading manufacturer of conductor accessories and fiber optic cable, is exhibiting at APTA Expo in Atlanta, GA October 9-11. Stop by booth #8320 to see AFL’s newest product solutions including Rail Transit OCS Assemblies, Rail Transit OCS Components, harsh environment fiber optic cable, the Fujikura 70S fusion splicer and the M310 OTDR. With decades of fiber optic expertise and its century-old Dossert® brand of power distribution products and services, AFL supplies overhead catenary systems and components to major high voltage, heavy-duty, high speed commuter rail companies. Components include insulators, various clamps such as feeder, parallel and pipe, pulleys, splice and compression dies and more. Assemblies include cross-spans and head-spans, cantilevers, in-span jumper and feeder, and more. 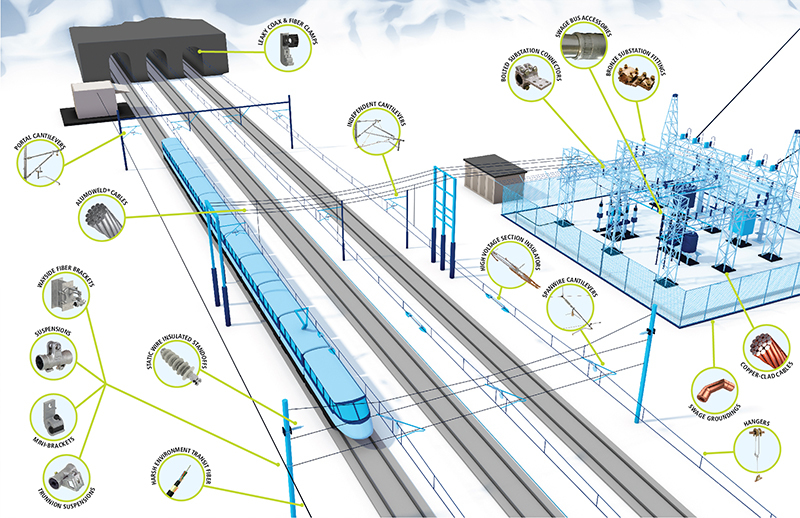 AFL’s products support global high speed rail, light rail, trolley, electric trolley bus and 3rd rail systems. To learn more about AFL, its products and services, stop by booth #8320 at APTA or visit www.AFLglobal.com.